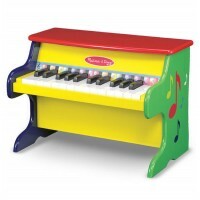 The Bricolo DIY Redmaster Workbench from Janod is a brightly coloured wooden play set that is certain to delight youngsters. The workbench is painted in vivid colours of red, yellow, silver and natural wood. The workbench has a vice at the front and the backboard has magnetic spaces to store the hammer, screwdriver and spanner and a mini labyrinth with 3 inserts to watch as they roll down the track. There are slots in the top for the inserts to be stored. 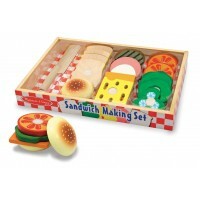 The workbench play set includes 24 accessories, including the 3 tools, for little ones to build all kinds of things with. There is a large tray underneath the workbench to store all the screws, nails and planks.